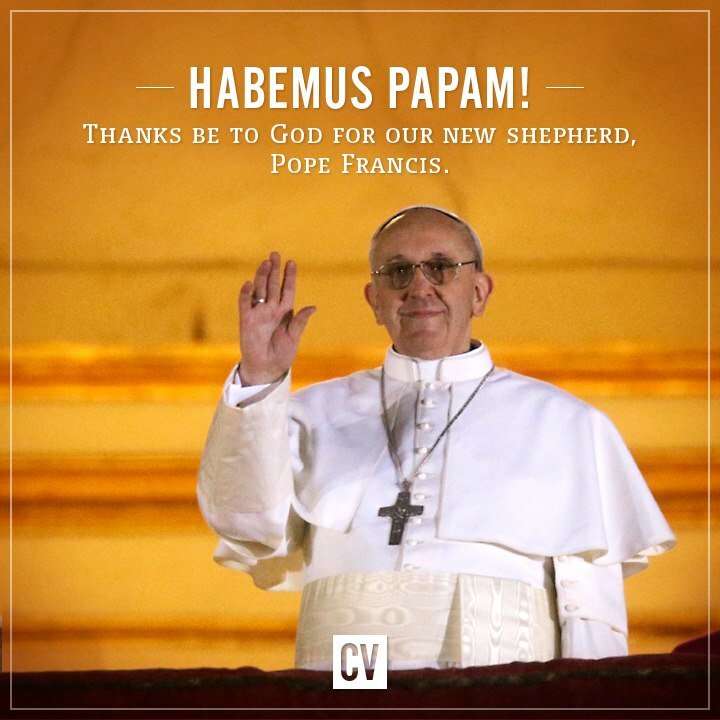 Now that the whole world knows who is the new successor of St. Peter, there will be a rush to find out more about this man, where his priorities lie, the nature of his theological and political views, etc. As such, I have compiled the following links to biographies and analysis of Jorge Bergoglio, Pope Francis I.
I will update this post regularly as new material appears online. If you know of any that I should add to the list, please leave a comment. 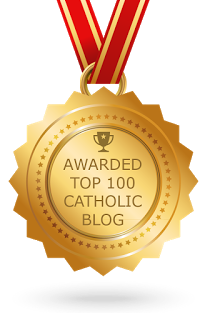 UPDATE (3/17/2013): I have decided to organize these articles by when they were written so that the reader can see how the commentary on Pope Francis has developed over time. Also, please note that while this compilation is extensive, it is by no means exhaustive. I am sure that there are some great articles that I have missed. Thirdly, I will only be chronicling the first week of his papacy. It would be too much of a burden to keep this up after that. Finally, the inclusion of an article to this list does not necessarily indicate an endorsement on my part. The Cardinals of the Holy Roman Church: Biographical Dictionary, "BERGOGLIO, S.J., Jorge Mario"
Andrea Tornielli, Vatican Insider: "Careerism and vanity: Sins of the Church"
Vatican Radio: Who Is Pope Francis? Terry Mattingly, Get Religion: Yes! Pope Francis is not from Europe! Matthew Archbold, National Catholic Register: Gay Groups Rush to Label New Pope "Hateful" and "Harsh"
Amy Welborn, Charlotte Was Both: Who Is Pope Francis? Dr. Taylor Marshall, Canterbury Tales: Traditionalists and Pope Francis: Can We Take a Deep Breath and Please Calm Down? Fr. Dwight Longenecker, Standing on My Head: Why Did Pope Francis Go to St. Mary Major? Francis Phillips, Catholic Herald: Pope Francis - what's in a name? Simcha Fisher, National Catholic Register: Papamoon! Rocco Palmo, Whispers in the Loggia: On Day One, Pope Rides the Bus and Pays the Bills | Francis' Agenda: "To Walk, To Build, To Profess Christ Crucified"
Jeff Miller, The Curt Jester: Liturgical Doomsday! | What's in a name? Terry Mattingly, Get Religion: Flooding the papal coverage zone | Pope Francis and the "Hand of God"
Fr. C. John McCloskey, National Catholic Register: Orphans No More! Emily Stimpson, Catholic Vote: Pope Francis and St. Francis: "Preach the Gospel Always. And for the Love of God, Use Words." Taylor Marshall, Canterbury Tales: Pope Francis: Devotion to Mary and the "New Evangelization"
Patrick J. Reilly, Catholic Education Daily: Can Pope Francis renew Jesuit education? Edward Pentin, National Catholic Register: Pope: "How I Wish for a Church That is Poor and For The Poor!" Jeff Miller, The Curt Jester: What's in a nickname? Fr. Dwight Longenecker, Standing on My Head: Is Pope Francis a Liturgical Liberal? Rocco Palmo, Whispers in the Loggia: From the Window, "God Never Gets Tired of Forgiving!" Kevin Tierney, Common Sense Catholicism: Why do Traditionalists Care So Much About the Latin Mass? Jeannie DeAngelis, American Thinker: Did Hugo Chávez Pick the New Pope? Selwyn Duke, American Thinker: Is Pope Francis Liberal or Conservative? Jimmy Akin, National Catholic Register: Should We Be Concerned About Pope Francis' Inaugural Mass? Stephen White, Catholic Vote: Pope Francis: Protect Creation, It Points to God! Taylor Marshall, Canterbury Tales: Pope Francis: Reviving the Gospel Reading in Greek? Michael Barber, The Sacred Page: A Catholic Meme I'm Not Thrilled About. Don't Forget, Benedict Emphasized "Charity"
Deacon Greg Kandra, The Deacon's Bench: Pope greets Jesuit superior general: "He insisted I treat him like any other Jesuit"
Damian Thompson, The Telegraph: Pope Francis inaugural Mass: can this extraordinary man save the Catholic Church? Mollie Hemingway, Get Religion: Was Pope Francis ‘anointed’ today? I will update each day with new links as I find the time. This is still a work in progress. UPDATE (4/3/2013): If I happen to come across one, I'll add it, but I don't plan on actively seeking any more links to add to this collection. Of course, if you know of one that I should add, you are free to leave a comment and I will add it (unless I don't like it for some reason). Russel responded to my previous post. As before, his words will be indented and italicized. You asked if the followers of John the Baptist were wrong in calling him (i.e., John) “Rabbi / Teacher.” I would have to say yes they were, according to Jesus, but they probably did this in ignorance, since Jesus addressed this topic AFTER John the Baptist’s death (Matthew 14:1-12). Concerning the title “King,” this is not a SPIRITUAL title, which is what Jesus was addressing in Matthew 23. That is partly true, but Jesus didn’t say, “Call only those with the RIGHT ATTITUDE “Father,” or only those who DESERVE it “Rabbi.” He said to give those spiritual titles to NO HUMAN (Matthew 23:8-10). Russell ... thank you for your response. Your debate style is much like mine, calm and thorough. I appreciate that. Regarding your first point, I think that if it was wrong of them to address John the way they did, then John himself would have objected to it. He is after all the model of humility. "His sandals I am not worthy to carry" (Mt 3:11) or "to stoop down and untie" (Mk 1:7). "He must increase, I must decrease" (Jn 3:30). I guess you'll say that John was ignorant of Jesus' teaching as well. While I find it hard to believe that John would not have intuited the wrongness of these titles if indeed they were wrong, since neither of us can really know the mind of the baptist on this point, let us consider this particular argument a draw. Regarding your second point, I think the title of "King" -- at least as it applies to the Davidic kings -- is very much a spiritual title. The Davidic king was God's anointed steward of His people, and the mediator of God's covenant relationship with them. The new Davidic king was the great hope of all of Israel. So, perhaps the references to Herod, Agrippa, and Aretas don't apply, but the ones to Saul, David, Solomon, and Adonijah do. Regarding your final point, you say that we are to give spiritual titles to "NO HUMAN". I really think you're missing the point. Read everything in Mt 23 that is before and after the passage in question. "The scribes and the Pharisees sit on Moses’ seat; so practice and observe whatever they tell you" (vs. 2-3). Jesus' wants the people to continue to respect the authority of the scribes and Pharisees. Using titles such as "father", "rabbi", and "master" is how you show this respect for someone in a position of authority. Yet, by your interpretation, Jesus told the people to respect their authority one minute, then disrespect it the next. That makes no sense. Jesus issues 7 woes against them in this chapter for being the "hypocrites" and "blind guides" that they are. You have to understand vs. 8-10 in light of this context. Jesus' whole point is that the scribes and Pharisees exhibit a dastardly conduct that should not be imitated and they do not live up to the honor that they receive. God alone is the great and perfect Father, Rabbi, and Master. We can only fulfill these positions in a derivative sense. Finally, think about it, Jesus is pissed off and fed up. He is angry, filled with righteous indignation. It makes perfect sense that He would use hyperbolic language. "You have ONE teacher" (vs. 8), "you have ONE father" (vs. 9), "you have ONE master" (vs. 10) ... yet obviously we have all had more teachers and fathers and masters than simply God. Thus, Jesus is NOT speaking literally, He is using exaggerated language. Verse 24 from this same chapter ("You blind guides, straining out a gnat and swallowing a camel!") is obviously hyperbolic. Verses 8-10 are said in the same vein. Like I said before, the Catholic interpretation is the only one that squares with the context of the passage and the greater body of Scripture. I humbly submit that your bias against Catholicism is causing you to misinterpret this passage. If you will simply put that aside, even just for a moment, I think you will see that what I am saying about this passage is true. PS: From here you may proceed to Part Three. Scripture says very little about Mary, the mother of Jesus, compared to the other great figures in the formative years of the Church, yet Catholics believe that she is the greatest woman who ever lived. Let's take a closer look at the Scriptural evidence and see if perhaps more is said about Mary than what first meets the eye. There are five doctrines about Mary. The first one proclaims that Mary is the Mother of God. The logic here is simple: If Mary is the mother of Jesus and Jesus is God, then Mary is the Mother of God. In giving Mary this title, the Church follows in the example of Elizabeth, who exclaimed upon seeing Mary, “And why is this granted to me that the mother of my Lord should come to me?” (Lk 1:43). Note that this doctrine says more about Jesus than it does about Mary. If Jesus is not God, then Mary is not the Mother of God. By affirming this doctrine, the Church affirms the divinity of Jesus. At the Council of Ephesus in 431 AD, the Church officially referred to Mary as the theotokos (Gk. “God-bearer”), not to exalt Mary but to combat the heresies of the day that denied that Jesus was truly God. To really grasp the full depth of meaning in this passage, we have to look at the original Greek language in which it was written. The Greek word translated as "full of grace" is kecharitomene. This is a difficult word to translate. For one, in the entire New Testament and the entire Greek Old Testament, it only appears once: right here in Luke 1:28. Clearly, something extremely unique is being described here. Secondly, the construction of the word is peculiar. Without getting too bogged down by Greek grammar, looking closely at the voice and the verb tense of kecharitomene, one finds that this word literally means, "You who were and continue to be full of and completed in grace." Blass and DeBrunner's Greek Grammar of the New Testament states: "It is permissible, on Greek grammatical and linguistic grounds, to paraphrase kecharitomene as completely, perfectly, enduringly endowed with grace." How remarkable! Mary wasn't just given grace like we receive grace. She was filled with grace, completed in grace, perfected in grace, and this fullness of grace persisted, it continued up to and through the present. Sin and grace are opposed (cf. Rom 5:20-21), and grace saves us from sin (cf. Eph 2:5, 8). Where there is fullness of grace there is no room for sin. These were the holiest of all Jewish relics and represented the very presence of God to the Jewish people. As such, the container or "ark" that held them had to be made of the purest, most perfect materials. The Ark itself was considered so holy that no one was allowed to even touch it, lest they die (cf. 2 Sam 6:7; 1 Chron 13:9-10). We see in Scripture that there are many parallels between Mary and the Ark (compare Lk 1:35, 39, 41, 43, 56 with Exo 40:35 and 2 Sam 6:2, 9, 11, 16) but space permits us to only address one. We already know what the Ark was built to contain. What was Mary built to contain, but Jesus Christ? And Who is He but the new Word of God (cf. Jn 1:1), the Manna from Heaven (cf. Jn 6:51), and the great High Priest (cf. Heb 5:4-5)? Catholics believe that Mary remained a virgin her entire life. This may seem odd at first, considering that there are many Scripture passages that refer to the “brothers” of Jesus (cf. Mt 12:46; 13:55-56; Mk 3:31; Lk 8:19; Jn 7:1-10; Acts 1:14; Gal 1:19). It is not necessary, however, to believe that these “brothers” were actually His siblings. Considering the broad meaning of the word, we can just as easily say that these “brothers” of Jesus were related to Him in some other way. Scripture tells us that at least four of them – James, Joseph, Simon, and Judas – were actually Jesus’ cousins, since their mother was Mary’s sister (cf. Mt 27:56, 61; 28:1; Mk 15:47; Jn 19:25). Also, note that it was Jewish custom for the eldest son to care for his mother once his father died. When the eldest son died, this responsibility fell on the next son, and so on. Yet, Jesus gave His mother to the Apostle John, not to any of His "brothers" (cf. Jn 19:26-27). It appears from these peculiar details that Jesus was in fact the only son of Joseph and Mary. And, since the Jews considered it a serious sin to prevent the marital act from bearing fruit (cf. Gen 1:22; 9:1; 38:8-10), we can rightly infer from the lack of other children that Mary remained a virgin. Typically, when a human being dies, his body is buried or cremated and his soul receives its eternal reward. It is only once Jesus comes again that this soul will receive its body back and experience heaven or hell as a completed human being. The concept of persons being assumed, body and soul, into their eternal reward is not foreign to Scripture. Enoch (cf. Gen 5:24; Heb 11:5) and Elijah (cf. 2 Ki 2:11-12) experienced this. Paul said that a third man may have as well (cf. 2 Cor 12:2-4). The "two witnesses" in the last days (Rev 11:1-12) also were taken up bodily to heaven. Thus, there is precedent for what we believe happened to Mary. Our first indication that Mary was assumed into heaven comes from the Revelation of John the Apostle. John looked up, expecting to see the Ark, and what did he see? A woman clothed with the sun (cf. Rev 11:19-12:1). We have already seen how Mary is the Ark of the New Covenant. That this woman is Mary is further confirmed later in chapter 12, where we see the woman giving birth to a son who will rule the nations with a rod of iron (vs. 5). This son is obviously Jesus, therefore the woman is Mary, whom John has seen, body and soul, in heaven. “Arise, O LORD, and go to thy resting place, thou and the ark of thy might” (Ps 132:8). Beyond this, the assumption of Mary follows from who Christ is. During the reign of David and his descendants, the queen of the kingdom was actually the mother of the king, not his wife (cf. 1 Ki 2:19; 15:13; 2 Ki 10:13; Ps 45:9; Jer 13:18; 29:2). As soon as the king was crowned, the queen was likewise crowned, and she was seated on a throne right beside him (cf. 1 Ki 2:19). Now, who is Jesus? He is the new king of David (cf. Mk 11:10; Lk 1:32). It makes perfect sense that from the moment He ascended into heaven and took up His throne, Jesus would assume Mary into heaven and install her as His queen mother. In the Davidic kingdom, there is no king without a queen. 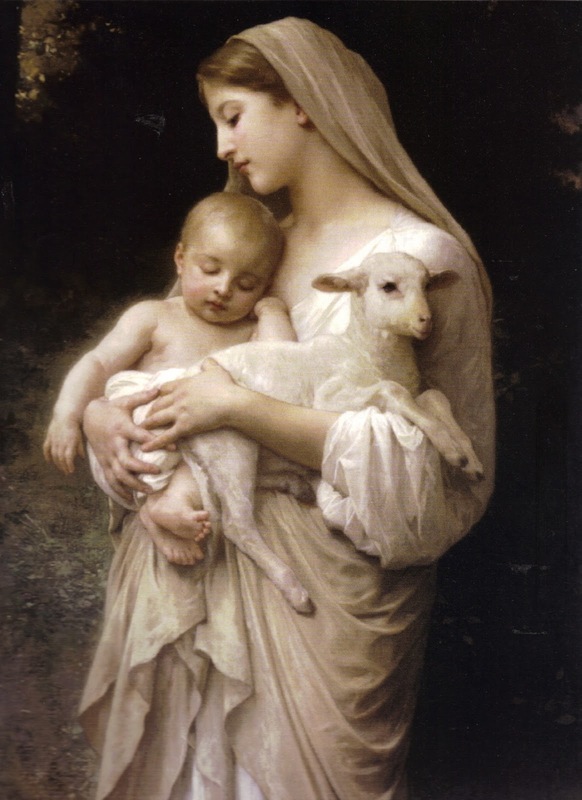 The final Marian doctrine of the Church declares that Mary is the “Mediatrix” of God's grace. By this we mean that Mary cooperated in an extraordinary way in the saving mission of Christ, who alone is the unique mediator between God and man. It may seem peculiar at first to think of a human being working with God to bring us grace, but Scripture says that all Christians are called to contribute to this vital work. It bears repeating: Jesus alone is the Savior and Redeemer of all mankind. Yet, it is also true that He wishes to involve us in His work. For example, St. Paul said, “I have become all things to all men, that I might by all means save some” (1 Cor 9:22). He considered himself a steward of God’s grace that was given to him for others (Eph 3:2; cf. Rom 11:13-14; 1 Cor 7:16; 1 Tim 4:16; 2 Tim 2:10; Jas 5:20; 1 Pet 3:1; 4:10; Jude 1:22-23). We are "God’s fellow workers" (1 Cor 3:9), “working together with Him” (2 Cor 6:1). Now, Mary played her part just as Paul did, but her cooperation was and is uniquely exemplary. Why? Consider her amazing life. Mary’s “yes” to God was the occasion for the Son to enter human history and take on our human nature. She gave Him the flesh that He nailed to the Cross for our salvation. And, since she was sinless, she was able to stand at the foot of the Cross and unite her will and her suffering perfectly with the will and the suffering of her Son. No other human being can claim to do what Mary did. This was undoubtedly rewarded with a tremendous outpouring of grace for the benefit of the Church. How do we know this? Because we see from Scripture that whenever someone suffers for the sake of the Church, the Church is rewarded with an application of the grace of the Cross. These five doctrines, and the Scripture passages that support them, point to Mary as uniquely blessed by the fruit of her womb. If God had not chosen her to be His mother, then none of her other unique qualities would have existed. He made her the most extraordinary woman who has ever lived, and it is with good reason that “all generations will call her blessed” (Lk 1:48).